Business cards are iconic marketing materials. Most of the time, you’ll be out and about when you meet someone who is interested in the services and products you can provide. Here are some ways to make them pop and convince your next lead that you are the real deal. However, all of our lives are busy, and it’s easy to forget a name, phone number, and email address after a few minutes of hurried interaction. That’s why a business card can be such a boon for your growing company. Besides, with the right design for your business card, you can give prospective customers a snapshot of what you do as you’re doing it. Chances are, most of the business cards you see only feature logos, a description of job duties, a name, a phone number, and an address. By showing you at the top of your game, you can create engaging business cards that can intrigue everyone and anyone who might need to contact you after your first conversation has ended. Another way to boost engagement is to use some more striking colors. A business card isn’t achieving its full potential if it only contains black text on white cardstock. Use colors that contrast each other so that they’re easy to look at, but don’t make it unclear what information you’re trying to convey. White text on a blue background might be a good idea, but you wouldn’t want to use red on yellow, even if those are the colors already associated with your company’s brand. 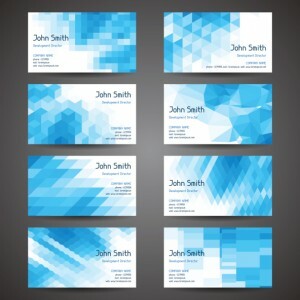 There are more ways to make your business card even more versatile and useful. Include a link to your online store or a link to your main website. Once there, your potential customers can browse and look for more information on the products that interest them. That said, you should include some images of some of your top-selling products Go beyond the conventional thinking and change the notions about what a business card is and what it can do. You can even choose to have easily-foldable cardstock that customers can put in their pockets or wallets but can still show off the flavors of coffee you sell or the uniform designs that you offer. Whether you know how your next marketing campaign should look or you want further advice, Time Printers is here to help. We service all of Baltimore, Hunt Valley, and Towson. Our team of professionals can tackle all of your questions. Give us a call at 410-566-3005 and be sure to follow us on Facebook, Twitter, Google+, Pinterest, and LinkedIn for tips and to see what we have been working on and what we can do for you. This entry was posted on Friday, July 20th, 2018 at 11:36 am	and is filed under Business Cards in Baltimore. You can follow any responses to this entry through the RSS 2.0 feed. Both comments and pings are currently closed.